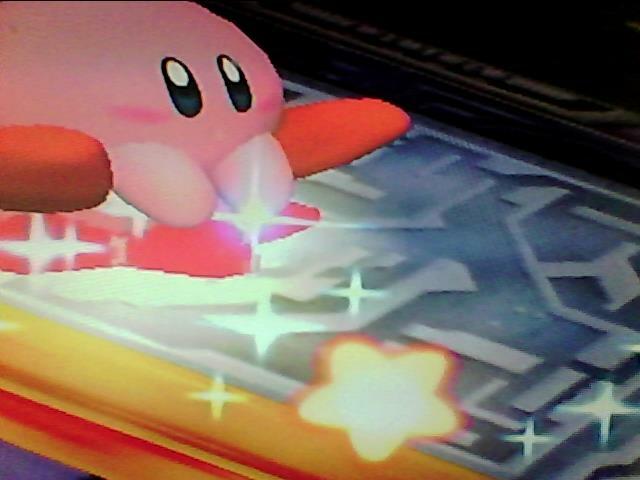 This is a Flight Warpstar from the game Kirby Air Ride that allows you to fly higher than any other Air Ride Machine (Other than the Dragoon) Have fun flying, crashing, and exploding! 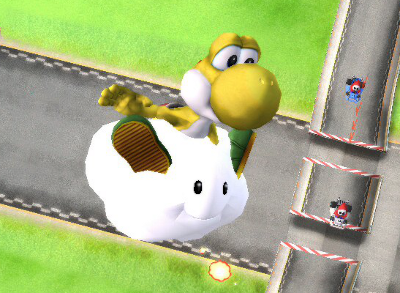 A Lakitu's cloud over the Warp Star. Dunno if the common3_en (NTSC) inside works since I have the PAL version (inclued too), as well as the bress if not. Common3.pac (Ntsc)/Common3_en (Pal) goes in pf > system. 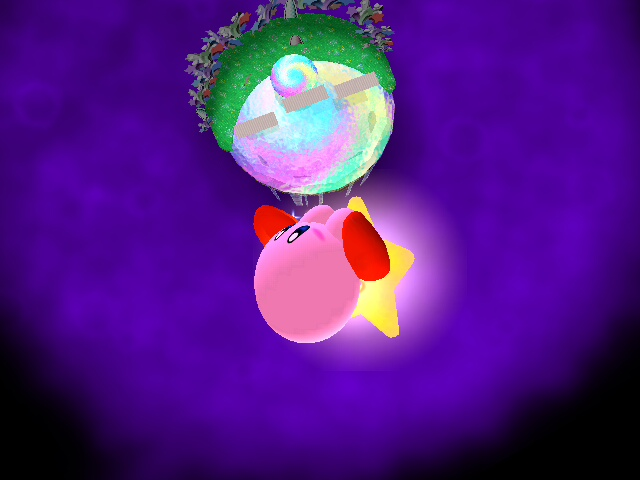 The brres goes into a Common3, by replacing the Warp Star archive. I replaced the smalls stars by smalls clouds, but can't find their texture so they appear Yellowrange, but still look nice anyway. Anyone who wants to try to fix it, just reply to that topic and give me credit if you do. The file "ItmWarpstarBrres" is to be put in the common3, and the file "MenMainItem.13" is to be put in the sc_selcharacter2. 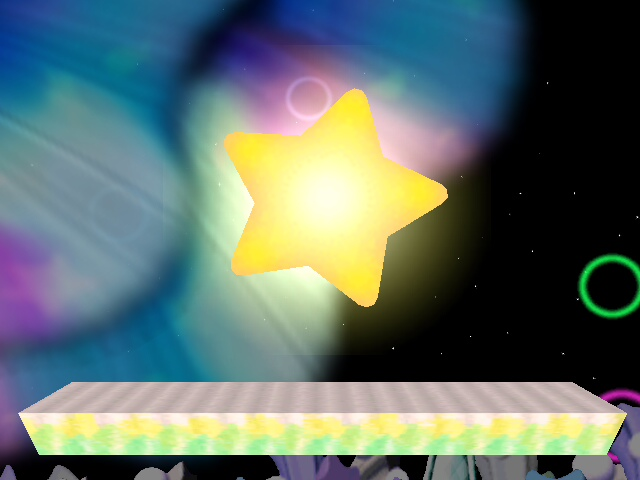 The star from Mr. EAD's belt is now usable as a Warpstar. 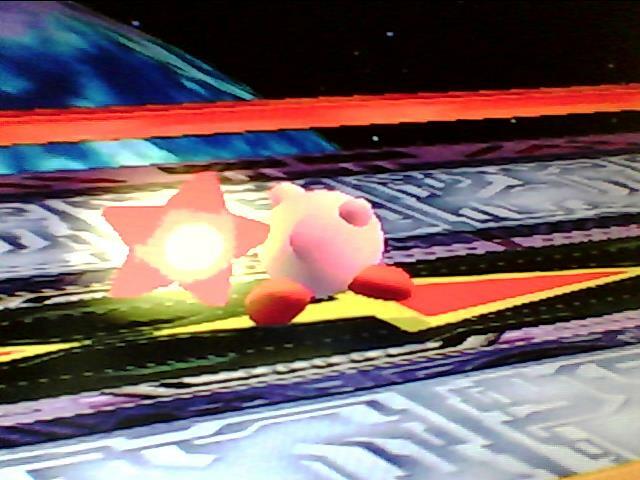 Shadow, i will destroy everyt-- wait what are you doing? 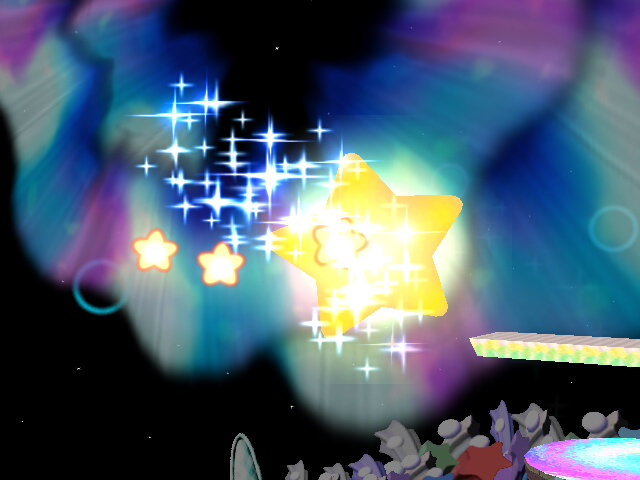 The Power Star from the Mario series is now functioning as a Warp Star.